Of all the times I have photographed the night sky, shooting the Milky Way at String Lake in Grand Teton National Park a few nights ago has to be one of my top highlights. Words alone can't describe the peacefulness encountered that evening as I was sitting on a rock at the edge of the lake in complete darkness, watching the stars and Milky Way reflected in the still water at 2am. 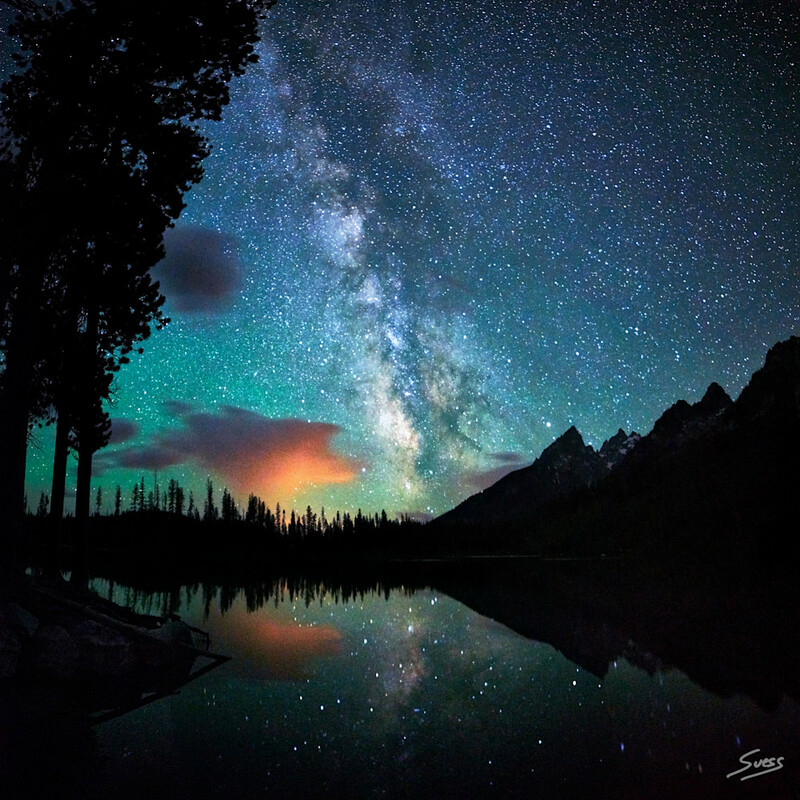 Milky Way night photos during summer at Grand Teton National Park in Wyoming at String Lake.